Seye Abimbola is a medically qualified public health specialist. He spent the last seven years working to deliver health services and strengthen health systems in Nigeria where he completed his undergraduate medical training in 2007 at Obafemi Awolowo University, Ile-Ife. From 2009-10, he was a Rotary Foundation Ambassadorial Scholar at the University of Sydney in Australia during which he worked on several projects at the George Institute for Global Health in Sydney. 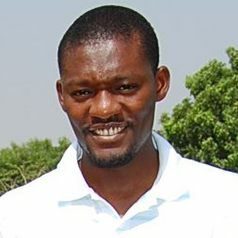 In 2007, he was awarded the British Medical Journal Clegg Scholarship and also won the joint Lancet and Global Forum for Health Research Essay Prize for “Young Voices in Research for Health.” In 2010, he was recognised by the Institute of Tropical Medicine in Belgium as an “Emerging Voice for Global Health”. He is currently a researcher and PhD candidate at the School of Public Health, University of Sydney where he studies the governance of primary health care in low- and middle-income countries, supported by international scholarships from the University of Sydney and the Rotary Foundation.